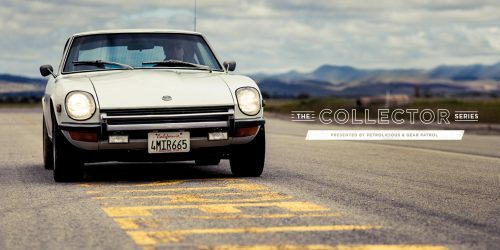 The Collector is a weekly series produced in association with Gear Patrol. Everyone knows the Datsun 240Z. 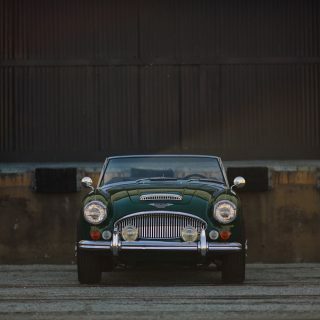 However, for many, according to Mr. Brian Rabold, Hagerty’s Valuation Services Senior Manager, the Z “redefined what an affordable sports car could be, and in some ways helped seal the fate of British sports cars in the US.” While there is some debate as to whether it was penned by American Albrecht von Goertz or was handled completely in-house, the shape is iconic. 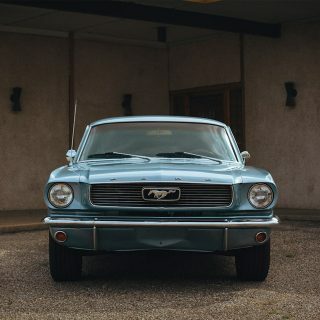 In some ways it’s like the Japanese Porsche 911, except that they were far more affordable when new and enjoyed legendary Japanese reliability. 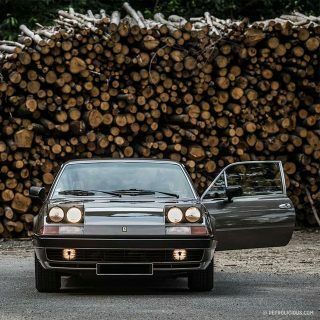 Brian adds, “It is also one of the best looking cars to ever come out of Japan. 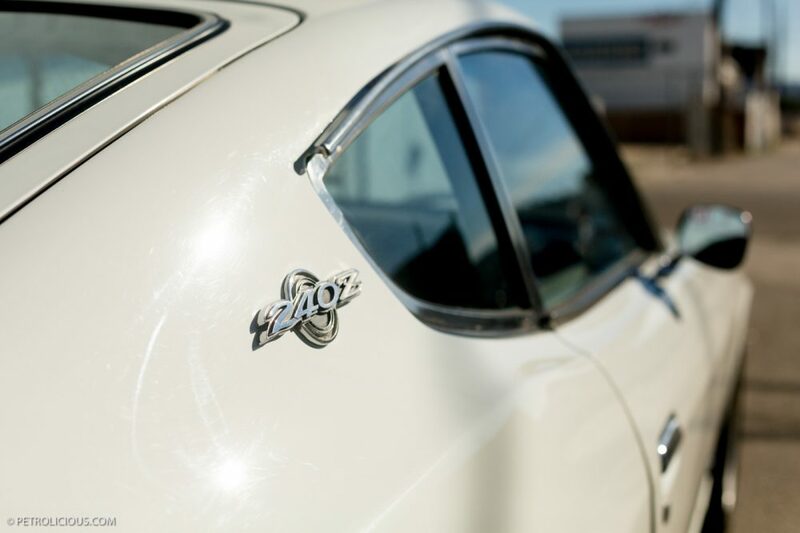 If it helps, think of it as Everyman’s Toyota 2000GT.” We couldn’t agree more and unlike the 911, the fact that the Z’s shape has changed over the years only makes the original more desirable. 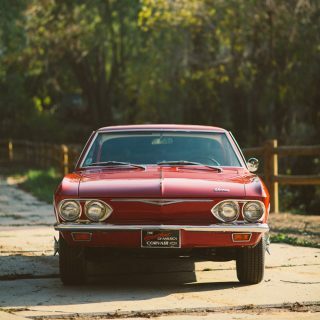 When the original was introduced, all models had standard four-wheel independent suspension and front disc, rear drum brakes. 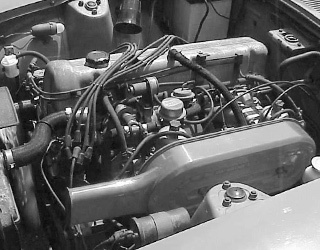 Power came from its 2.4L straight-six and used single barrel, variable-venturi side-draft Hitachi carburetors, built under license from SU carbs. And while we’d recommend shifting for yourself, Datsun did produce a small number of automatic-transmission-equipped 240s. Nothing exists in a vacuum though, and the reason that the 240Z enjoyed the success it did was a function of its price and the fun it offered. 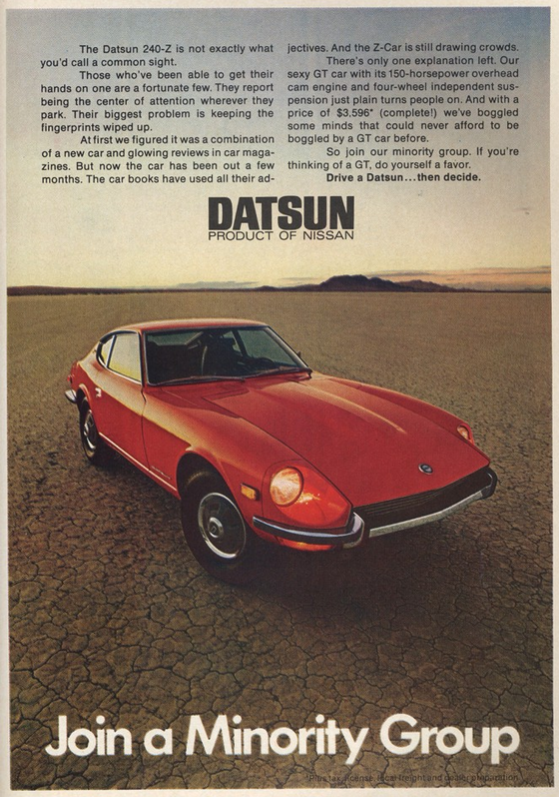 For Datsun, the car made sense because it gave them a halo car and effectively made the brand relevant to people interested in more than pure economy. Besides their reliability, the cars are tough too, having won the 21st East African Safari Rally in 1973, in driver Shekhar Mehta’s hands. 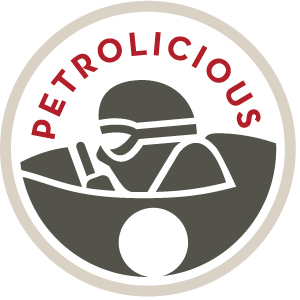 They also competed in motorsport in all over the world and are perhaps best known due to the BRE Datsuns of the early ‘70s. Brock Racing Enterprises, started and run by the legendary Mr. Peter Brock, campaigned the 240Z in US club racing and wound up dominating, trouncing competition that included BMWs, Toyotas, and Triumphs. “And while nice 240Zs could be found everywhere in America for less than $10,000 for years, astute buyers have long since recognized the pure value they represented at that price and it is now difficult to find a high-quality example for four figures,” continues Brian, “Zero-mile cars now command upwards of $30K. 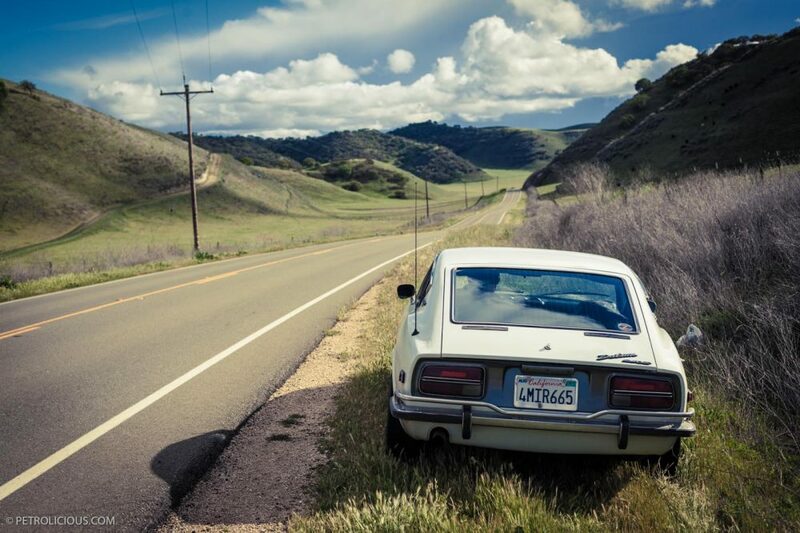 Prices for the 240Z during the past 5 years have actually ticked down by approximately 5%, but these are likely good purchases for the long-term as cars from the 1970s are gaining interest in the hobby due to shifting demographics. 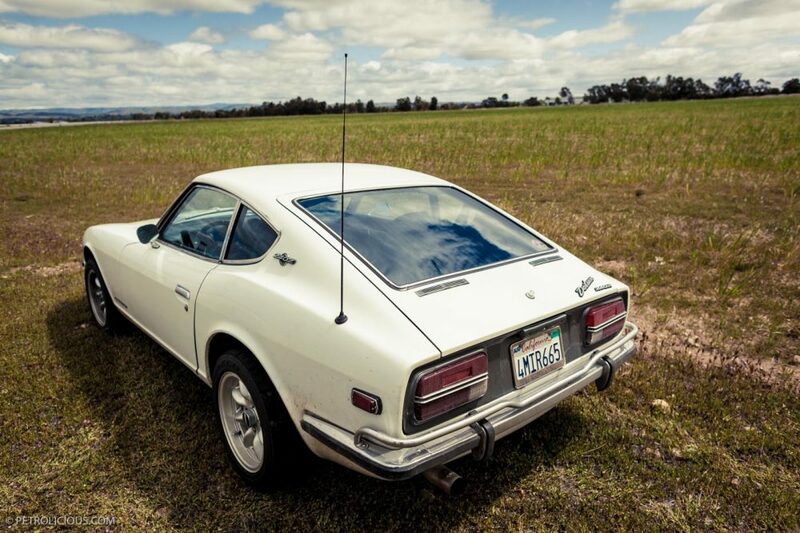 Examples from 1970 are the best bet for appreciation due to their first-year status, followed by 1971 and 1972 models.” As if this weren’t enough, Sports Car International named the Datsun 240Z the number two sports car of the 1970s. Special thanks to Mr. Brian Rabold and Hagerty for their contribution. 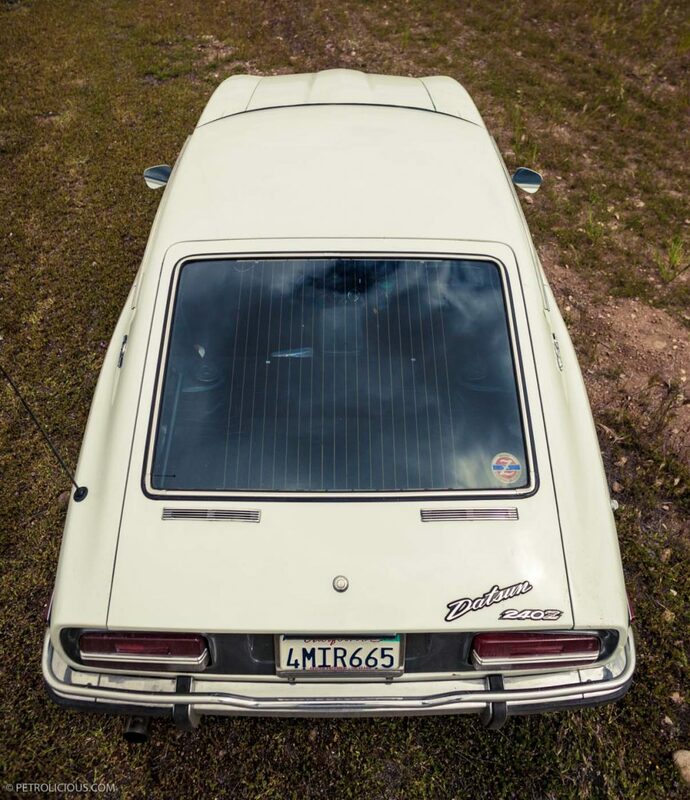 Unfortunately named the Fairlady Z in Japan, the 1971 240Z was barely 2,300 pounds, with 151 horsepower and 146 lb-ft from its inline-six engine making it a great performer in its time; it boasted more horsepower than a Porsche 911 of the same year. 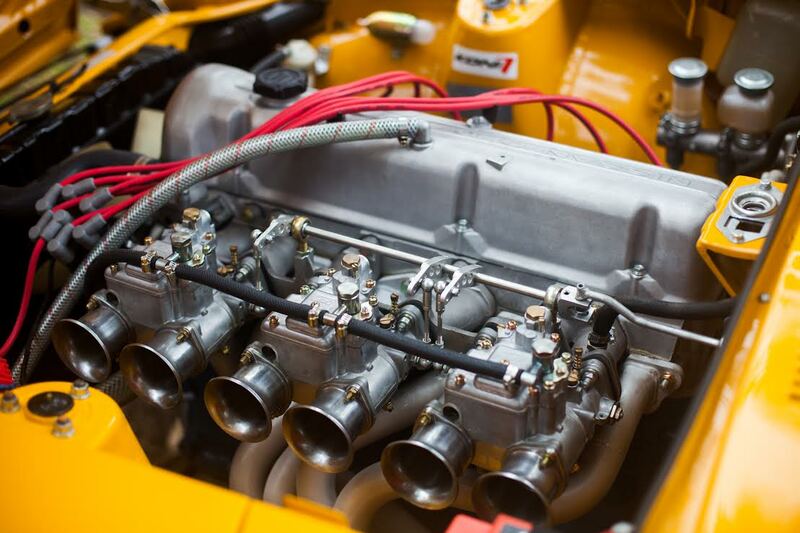 Coupled with a 4-speed manual transmission and Hitachi carburetors in the earlier models, the smooth six delivered great performance for a fraction of the price of BMW and Porsche. 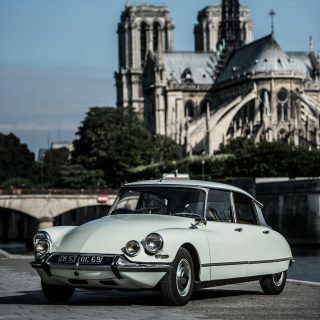 In one fell swoop, Nissan departed from their universal perception of boring economy cars while still utilizing the mindset of giving more for less. 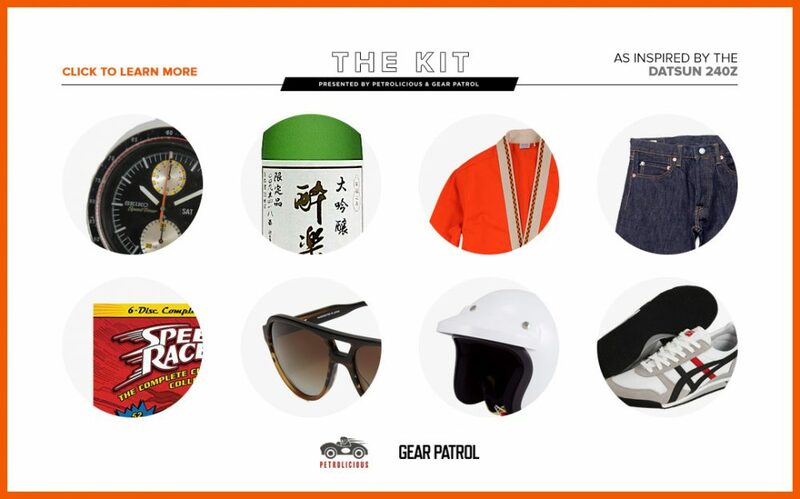 Click here to learn more about Gear Patrol’s kit inspired by the 240Z. Hello Adam, do you have any documentation regarding the install of the triple OER carbs? I am thinking about doing the same to my 240Z in Switzerland. I would higly appreaciate if you could share any piece of information about istalling these OER triples. Thank you very much. And also except that the engine is in the front AND the 240Z is a true twos eter whereas the 911 is a 2+2…like the 260 and 280Z 2+2s ! 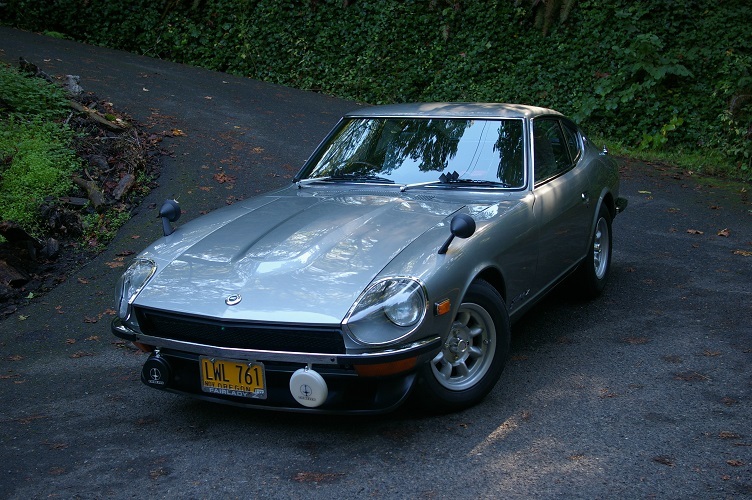 So in fact, the 240Z is NOTHING like a 911 ! I love that you talk of Zs but please, why not consult the owners the club runners, basically thsoe that know the cars better than most and get the facts right………please ! I’d actually trade my ’82 GTV6 for a clean 240Z. I have always wanted one, ever since I was a wee monkey. 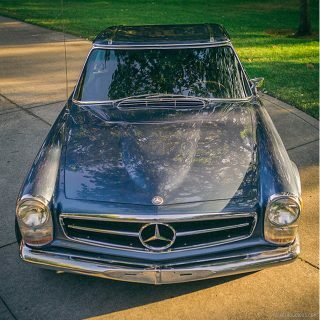 As much as it was a bit of a departure and value for the time (as a former 240Z owner) I am amazed at the nostalgia generated for a vehicle that had the steering of a dump truck, interior that was downright uncomfortable and a body that rusted at the mere hint of dampness. Compare that to a Scion FRS/Subaru BRZ (the modern equivalent from a market and price standpoint) and the Z was a hunk of junk. Mind you I loved my Z but have no desire to own one now. Everything is relative and subjected, I am sure that back in the day, the 240Z handling was decent compared to its contemporaries. As human, we are always looking back while moving forward. 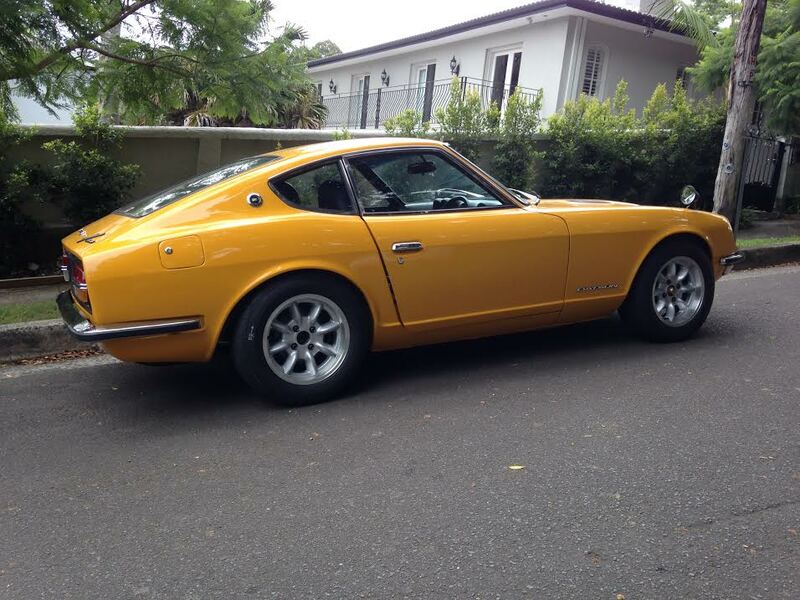 Hence, the attachment to classic automobiles like the Datsun 240Z (Nissan Fairlady Z).